Copyright 2001-2013 by TopWare Interactive AG. Developed by Reality Pump Studios. All rights reserved. 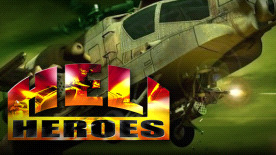 Heli Heroes, Reality Pump, TopWare Interactive and the related logos are trademarks and/or registered trademarks of TopWare Interactive AG.